On the third day of my new slime life, I was tamed by my daughter. Seeing my daughter sorrowfully shedding her tears for the father she lost, I watch over her for a while as I lead a life as a familiar…… In no way is it because being hugged feels good. Even now, I am being hugged by the elf Orphe. This is bliss. It’s soft. She seems to be heading to the kitchen. Which reminds me, it’s almost afternoon now. Orphe who had just reached the kitchen, called out to the person who had been here. With a gentle clinking of a large pot, the lone girl was making stew. The one standing in the kitchen who answered Orphe’s question was a dwarf…… a dwarf which doesn’t look like one, a little girl with silver hair and white skin. Nikola and Orphe are of the same age, fourteen years old. She’s short, and doesn’t have these splendid things Orphe is pushing my slime body against. Nikola took over my 【Alchemy】. The Enlight of Alchemy. If Nikola is a research idiot, the Enlight of 【Sword】, the fox-girl Shimazu, is a training idiot. She’s the type who couldn’t care less as long as she becomes stronger and won’t be injured. Nikola has a point. It’s for the best if daily meals can strengthen oneself. To the other party, Nikola’s cooking is worth hundreds of gold coins. ……In actuality, Nikola’s cooking increased the sisters’ potentials. I was the one who built their foundations. With the doping cooking, these kids have already surpassed me. Thus, the finished dish was an offensive smelling purple meat soaked in a coloured soup. ……Although it’s to become stronger, it’s quite tough. Orphe sat on her seat with a face as if she had given up on everything. I was placed on Orphe’s lap. Although it’s being embraced in her chest is good, her thighs are also okay. Orphe’s whole body feels good, and with this, I felt glad that I became a slime. Nikola stared at my cute slime body with her grey eyes. Nikola muttered with a lonely look. Looking closely, her eyes are red and there are traces of her tears. She was probably crying last night. The remaining sisters laughed together, and put the fiendish lunch into their mouths. When they finished eating, Nikola came to my side. Nikola extended her hands to my slime body, and plucked the edge. She then fixedly observed it with her grey eyes. Nikola possesses the rare 【Appraisal】 skill. She is probably analysing me. Then…… she then ate a part of me. Probably satisfied, Nikola returned to her seat and enjoyed her after-meal black tea. Because this kid loves alchemy, she was happy for the appearance of a study target. I should put up my guard for a while. It’s possible that I might get dissected…… If it’s this kid, there’s a possibility she might arrive at the fact that I reincarnated into a slime. Looking at this, I can see that Nikola’s a good girl who thinks of her sisters. There are no bad kids among my daughters. Orphe who was overcame with emotions stood up and hugged Nikola tightly. Nikola’s face is buried inside Orphe’s breasts. Nikola made a complicated face. She was happy at her sister’s embrace, but Nikola has a complex of having a flat chest. I looked at the both of them and felt relieved. Both of these fathercons are properly getting over the sadness of losing me. I’m really glad for this. As we finished the meal, we went outside. Since Nikola said she wanted to see my ability. The whistle Nikola herself made sounded. It’s a tool that calls out the surrounding monsters with a tone colour loaded with magical power. Hearing that sound, a bird monster came over. A large tawny pigeon. The pigeon is also about as large as a medium-sized dog, and has quite the impact. It raised a cry and swooped down. A monster which carries off prey with its large talons and brings them back to its nest. Slime is naturally the weakest around here. In other words, it was swooping down on me. I jumped from Orphe’s chest, and drenched my slime body in the strong acid potion I 【Stored】. Orphe will get a burn if she hugged such a body. My body changed into a green colour. The Pidgeotto tried to abduct me, and dug its talons into my slime body, but were melted and couldn’t lift me up. This stupid thing. 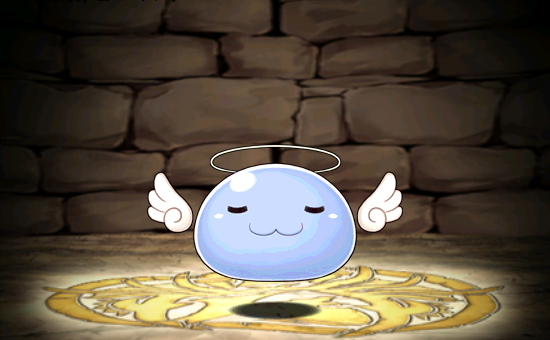 Physical attacks can’t pass through slimes. However, I won’t let it go. After all, a monster I haven’t 【Absorbed】 finally appeared. I completely 【Absorbed】 it and received a Skill. That guy waits for its chance in the sky with a peace of mind. You could say that it had let its guard down. Slimes don’t have long range attacks. If that’s what it’s thinking, I’ll wreck that illusion. I delicately altered my slime body’s inner structure and made a compression pump. Then, I vigorously spat out the strong acid potion. The powerful acid gun directly hit the Pidgeotto who had already distanced itself more than ten metres. Its wings which were bathed in acid melted, and the Pidgeotto crashed. This is the one-hit knockout, Acid Beam. Fufufu, by 【Absorbing】 some monsters’ bodies, the precision of my transformations have increased delicately, and it became possible for me to make such a risky attempt. It’s powerful, but its weakness is that its consumption of the strong acid potion is extreme. I 【Stored】 the strong acid potion which was soaking my whole body, and returned to normal form from Poison Slime Mode. My colour changed from green to a transparent blue. I slime run to the place where the Pidgeotto crashed, and bit into it. Chew chew, munch munch. Delicious. As expected, pigeons are more delicious compared to rats. I securely 【Stored】 a part of the materials. I finished 【Absorbing】 and strength is welling up from within me. Yosh, I obtained a new Skill. Let’s try using it immediately. I transformed my slime body, and a wing-like slime coloured thing sprouted from my back. As I put strength into it, it flapped, and my body floated about twenty metres in the air. Then, all my strength was used up in a minute and I fell. Being able to fly in the sky is a big advantage. From now on, let’s proactively eat more bird-type monsters, and level up the Skill. Orphe rushed over and tightly hugged me. I was brought to my original place while in her chest. As expected, this place is good. How should I say it, I feel relieved here. 「As expected of the slime Otou-san created. A beast with the potential to infinitely become stronger with 【Absorb】 and 【Evolve】. Nikola muttered as if in admiration. Nikola continuously observed my evolution after the battle and 【Absorption】. She then once again felt the potential of this slime. Hahaha, it’s good that you’re respecting your father. This slime is my masterpiece, after all. I’ll rapidly become stronger. I’ll be for my own safety, and I can also exterminate the pests who approach my daughter. Like this, my hunting time with my two daughters continued. No-one cares if you’re offended. Welcome to the real world. Also, In the spirit of further offending, a potential snowflake: Trump Is your president. thanks for the translation. could you maybe put some seperators between the skills, belongings and status? That would make it easier to read. 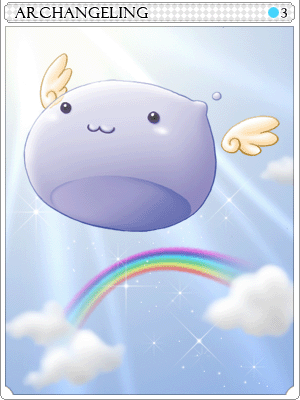 “Skill: Absorption | Storage | Presence Sensing | Familiar | Flight Ⅰ” works or big dots for example. Oh. Didn’t notice that. I initially used five spaces, but seems like it didn’t appear here. I’ll use | starting from next chapter. Thanks! Thanks for the chapter! but… pidgeotto? Yes, pidgeotto. In katakana. .___. … wow… not even The Japanese name “pigeon”? No. If the katakana were to be written in romaji, it would be Pijiotto. Pigeon in japanese is hato, as in hatoful boyfriend (the weird dating sim). Is not that pidgeotto the name of pokemon monster? Is it okay to use that name? Appraisal didn’t reveal that the slime’s name was the same as her dead dad’s? I like the fact he’s trying to deny his attraction to his own daughters. A pervert trying not to be a pervert (after all; he got sad his 12 yr old elf daughter didn’t want to bathe with his old self).